EcoHeater is designed to feature well balanced product attributes with outstanding results to fulfil all the pre-requisite criteria of safety, durability, energy saving, heating performance & affordability. Thanks to its most unique non-metal Silicone-based heating component, EcoHeater enhances the safety factor while operates at much lower power consumption of only 1500 Watts against 3000 Watts as used in convention system, allows user to enjoy hot water with peace of mind while achieving 50% savings in energy cost. Nevertheless, the heating performance of EcoHeater is not compromised at all and it could achieve rapid heating up to 1 deg.C/ minute. For greater durability, the Silicone-based heating component has high resistance against oxidation and scaling that makes Eco Heater could stretch for longer lifespan. The hot water storage tank of EcoHeater is made of 1.5mm thick SS304 Stainless Steel material, which is guaranteed to be rust proof and is protected by an auto-operated safety device of Pressure Relief Valve and fully insulated with 60mm thick of CFC Free High Density Polyurethane (PU) Foam for heat loss prevention. With the lesser power consumption needed by EcoHeater compared against conventional storage water heater, savings on electricity cost per year are estimated below, which could break even on your investment sooner over the time. 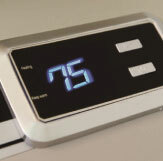 EcoHeater is equipped with an intelligent control system with auto thermostat. The system will heat up the water automatically when temperature drops 5 deg.C below a preset temperature. It will stop heating once achieving the preset level again and remain in “keep warm” status. 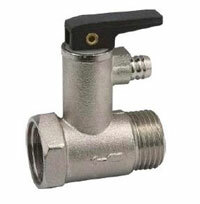 This will prevent wastage of energy effectively while ensuring user with consistent of hot water supplies. Couple with its Digital Temperature Display, hot water temperature and system heating condition are clearly visible to allow user or maintenance technician knowing how's the system condition now. You never have to worry about running short of hot water with our intelligent control system. 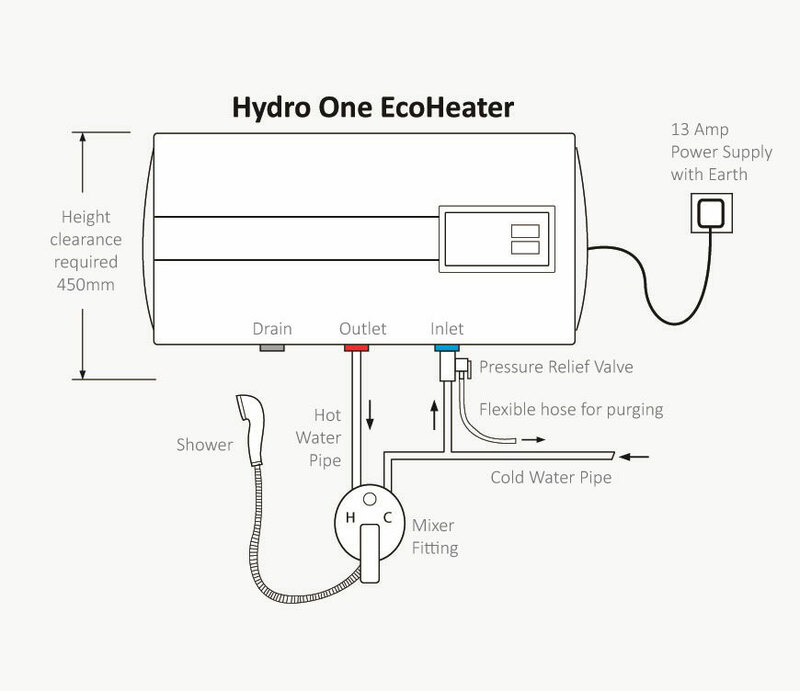 This makes EcoHeater suitable for application of either multi-point or individual hot water supplies as the hot water demand is always well taken care of. Safety factor of EcoHeater has been boosted to another advanced level without using high power metal heating element. The heating component that produce hot water of Eco Heater is a non metal component (silicon based) with low power rating, which is non-electricity conductive that prevent risk of electrocution when contact with water. Moreover, EcoHeater is equipped with a Triple Safety Protection design of reliable Thermal-Cut-Out Protection in both digital & mechanical thermostat that limits the heating process to cut-off at preset level. First cut-off stage is maximum up to 75 deg.C while the second independent mechanical Thermal-Cut-Out is limiting water temperature not to exceed 90 deg.C. This is a per-requisite to comply with the Safety Regulation of Malaysian Standard MS IEC 60335 (Part 1 & 2). The functionality & safety protection of the product is also tested & certified under the stringent international CB Testing Scheme by SIRIM. Thirdly, EcoHeater also features a mechanical safety device of Pressure Relief Valve that will purge automatically if there is excessive heat & pressure exceeding the permissible level. In fact, SIRM has tested and accredited to verify EcoHeater has the working pressure up to 600kPa (6 Bar) with the Test Pressure is stressed to double up to 1200kPa (12 Bar). There is always limited choice in selection for an energy saving water heater for condominium, apartment home owners, even for operators of hotels & resorts. 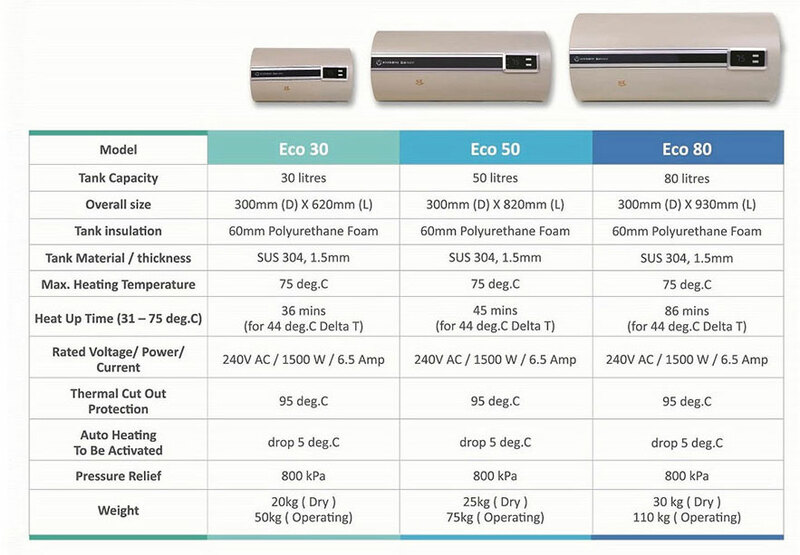 EcoHeater is installation friendly for all kind of properties with no much different from the conventional system. Besides concealed hot water pipe line with shower mixer tap fitting as usual, in fact, it only requires much lower power supply at single phase, 13 Amp. Space clearance is recommended to be 450mm or more in vertical distance for concealed installation within ceiling. Our mission is to develop the most innovative product while delivering value-adding & proven performance. 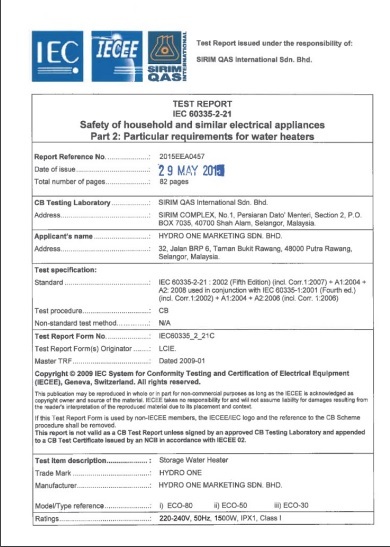 As part of our quality measurement & assurance policy, every unit of EcoHeater is in-house tested and ready for independent random pick testing by SIRIM so that the product is endorsed with a safety compliance label before it is allowed for distribution to users. EcoHeater comes with 2 years product guarantee on complete set against manufacturing defects and a total 6 years product warranty on its hot water tank. 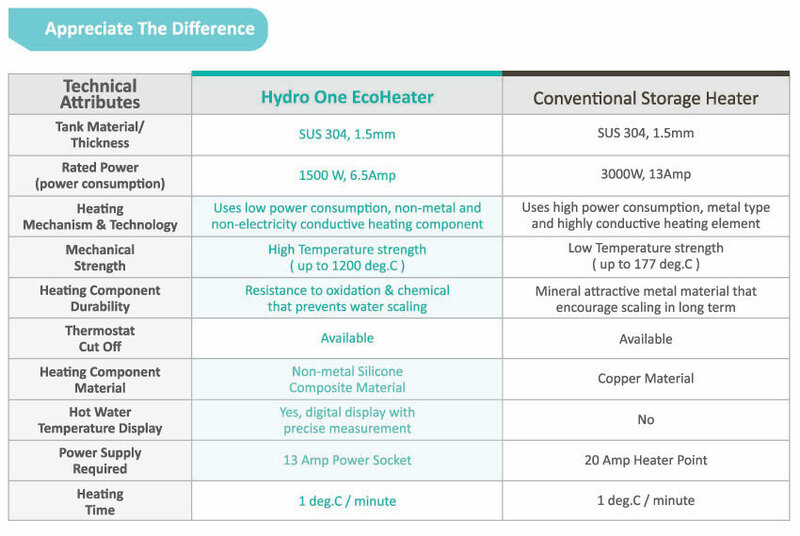 A side-by-side comparison will make you understand easier the differences & value-adding benefits that EcoHeater is bringing, which are appreciated by many.